Dr. Ajoy Paul did his MBBS in 1985 and MS in 1990 from Silchar Medical College, Assam . He has been in practice in Kolkata since 1993 and is currently one of the Directors of B B Eye Foundation, Kolkata. Dr. Paul started Phacoemulsification in 1997 and his area of interest includes Coaxial and Bimanual Microphaco, posterior segment complications of cataract surgery, medical and surgical retina. He is one of the pioneers of “Glued” scleral fixated IOLs in Eastern India. 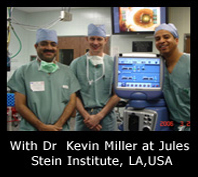 Dr. Paul has presented numerous papers, videos and Instruction Courses on Coaxial and Bimanual Microphaco, Phaco complications and Ectopia lentis at various state, national and international forums including the European Society of Cataract & Refractive Surgery (ESCRS), American Society of Cataract & Refractive Surgery and American Academy of Ophthalmology meetings. 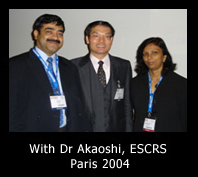 Dr. Ajoy Paul has been the winner of ESCRS Challenging Cases Video Award for three consecutive years (London 2006, Berlin 2007 and Stockholm 2008). He has also won DOS 2006 & OSWB 2008 Best Video Awards. He has been performing live surgery workshops at various forums at National and International levels and is a Recipient of the IIRSI(Intraocular Implant and Refractive Society of India ) Gold Medal for 2009 . Dr. Chandrima Paul graduated and postgrauduated from Silchar Medical college in Assam. She underwent training at the glaucoma service of Moorfields Eye Hospital in London. She is a Fellow of the Royal College of Surgeons,Glasgow. She completed her PhD in Ophthalmology from the Regional Institute of Ophthalmology, Medical College and Hospital, Kolkata. 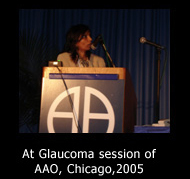 She has been doing pioneering work on early diagnosis and progression in glaucoma in Eastern India. She has been an invited faculty for guest lectures and chaired glaucoma sessions at both National and International levels. She has presented papers at various national and international forums including the glaucoma sessions of the American Academy of Ophthalmology as well as the European Society of Cataract and Refractive surgery. 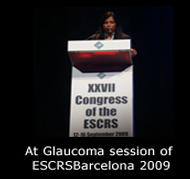 She has been speaking at the glaucoma session of the ESCRS for the past six consecutive years. She was featured in the “Special Focus” section of the March 2009 edition of the “Eurotimes” with an article titled “OCT can accurately predict the onset of glaucoma”. 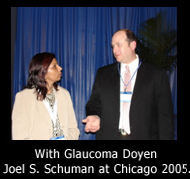 Her article on “RNFL analysis by OCT … onto the next level for glaucoma diagnosis” was published in the July 2009 edition of the “Ophthalmology Times Europe”. Apart from that her articles have also found place in national Journals like “Highlights of Ophthalmology”, “Journal of Kerala Ophthalmological Society” and the “Bengal Ophthalmic Journal”. She was a Free Paper Evaluator for glaucoma for the AIOS for three years. She is the recipient of the prestigious D B CHANDRA award of the All India Ophthalmological Society and the DR B.K.MITRA award of the Ophthalmological Society of West Bengal. Presently, she is a director and consultant at the glaucoma service of B B Eye Foundation, Kolkata, which is a centre for excellence in eye care in the eastern part of the country. HONORARY MEDICAL DIRECTOR - Purnima Netralaya, Jharkhand. HONORARY MEDICAL DIRECTOR - Netra Jyoti Seva Mandiram, Rajgir, Bihar. 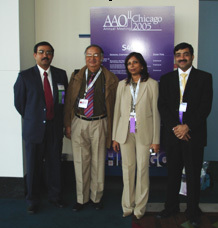 SCIENTIFIC COMMITTEE, AIOS, Member (2008-2014). EDITOR, Journal & Proceedings, EIZOC (2011-2013). AUTHOR: “Microscopy, Science, Technology, Application and Education”. RESEARCH: In Collaboration with IIT, Kharagpur from 2009 to till date. 5. Proteomics in Eye Diseases. 1. 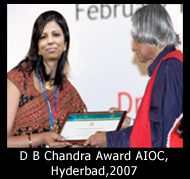 COL. RANGACHARI AWARD, OVERALL BEST PAPER, AIOC, 2011. 2. ESCRS, Amsterdam, Video Award, 2013. 3. APACRS, Singapore, Video Award, 2013. 4. Col. Calvert Memorial Oration, IMA, Kolkata, 2013. 5. Colloquium, Grand Guild, Video Award,2013. 6. BOA, Gold Medal for “EXEMPLARY WORK IN THE FIELD OF OPHTHALMOLOGY”, 2013. 7. 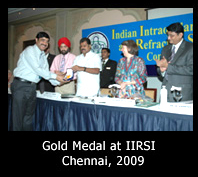 INDIAN INTRAOCULAR & REFRACTIVE SOCIETY GOLD MEDAL, 2007. 8. AIOC, Inflammation, Best paper Award, 2011. 9. SHIV PRASAD HARDIA AWARD, Best Paper in Refractive Surgery at the 63rd AIOC. 10. HANUMANTHA REDDY AWARD, Best Paper in Pediatric Ophthalmology at 62nd AIOC. 11. Dr. B. K. MITRA AWARD 2009, for Overall Best Paper at XL Annual State Conference of OSWB 2009. 12. 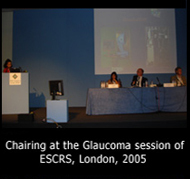 SATYA RANI HAZRA AWARD , for Best Paper in Community Ophthalmology at OSWB, 2007. 13. DR. K. R. DUTTA AWARD, for Overall Best Paper at Eastern India Zonal Ophthalmological Congress, 1998. 14. DR. DUKHAN RAM PRIZE, for Overall Best Paper at Bihar Ophthalmological Society 1987. 15. DR. D. K. BOSE GOLD MEDAL, Annual Bihar Ophthalmological Conference 1991. 16. THE HUSNAIN GOLD MEDAL, Patna University in Final M.B.B.S. Examination. 3) Indian Journal of Ophthalmology. 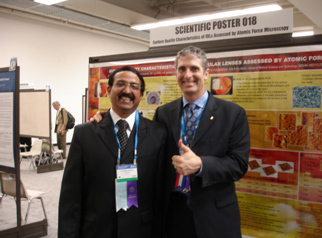 Guide for DNB, Guest Faculty in National and International Conferences -ESCRS(2013,2012,2010,2006,2004,2003); AAO( 2010,2009, 2005),APACRS(2013,2004) WOC(2010), BANGLADESH(2002 -2011) and AIOS(1995-2013). LIVE SURGERY WORKSHOPS : 3 International and 32 National. INTERNATIONAL PRESENTATIONS and Guest Lectures 54 and Presentations at the National Conferences 153. COURT MARTIAL IN OPHTHALMOLOGY : Innovation in Teaching, 14 sessions, APACRS, Singapore(2013), Dhaka(2010,2011), AIOC(2010,2011,2013,2014), IIRSI, Chennai(2010,2011,2012,2013), IIRSI, Delhi(2013), KAO(2011,2012), NZOS(2013), UTTAREYECON(2013), POS(2013). POST GRADUATE TEACHING and EVALUATER, AIOS of Instruction Course, Free Paper & Videos (2008-2013). Dr. Pradeep Kumar Bakshi completed his MBBS from J N M Medical College, Raipur in December 1968. He subsequently did his MD in Ophthalmology from AIIMS, New Delhi in July 1974. Dr Bakshi completed DO (London) in July, 1976 and obtained his FRCS (Edin) in December, 1977. Dr P K Bakshi started freelance practice in Ophthalmology in Kolkata in April, 1980. 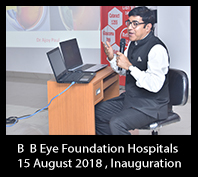 He started micro surgery with IOL implantation in September 1986 and laid the foundation of B B Eye Foundation in Howrah on 15th August, 1988 and B B Eye Foundation, Kolkata was founded on 15TH August, 1989. 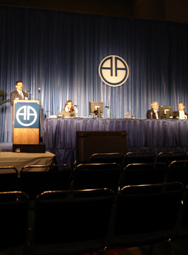 The birth of this Institute revolutionized private practice in Eastern India with the now famous “Group Practice” model. Dr Bakshi started Phaco surgery as early as 1994. He is also one of the pioneers of Refractive Surgery in Eastern India. The philanthropic nature of Dr P K Bakshi is highlighted by the fact that he started cataract surgery with IOL implantation in charitable rural eye camps in as early as 1989 in Bankura District. 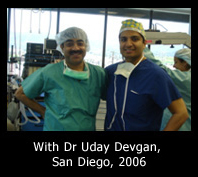 He introduced microsurgery with IOL implantation in Kamarpukur in 1992. He also conducted numerous eye camps in Kamarpukur, Muzaffarpur and Nimpith. Dr Bakshi has also built a 6 bedded charitable eye hospital in Bakulia, Hooghly District in 2008 to provide quality eye care services to the poorest section of the society. Dr P K Bakshi is among the first in Eastern India to attend International Conferences like the American Academy of Ophthalmology and the European Society of Cataract and Refractive Surgeons Congress. He has trained numerous young ophthalmologists from far and near in microsurgery and phacoemulsification. Dr Pradeep Kumar Bakshi is currently the Chairman of B B Eye Foundation, Kolkata. Dr. Subhrangshu Sengupta graduated from Medical College, Kolkata with honors in Ophthalmology and completed his Post Graduation in Ophthalmology from Regional Institute of Ophthalmology, Kolkata. His area of interest includes cataract services, medical retina and glaucoma services. Dr Sengupta takes a keen interest in research in Ophthalmology and is presently a part of a large demographic eye study in West Bengal. 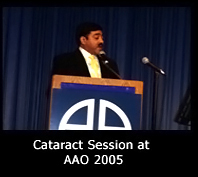 He has presented research papers and surgical videos in various Ophthalmology seminars and is also the recipient of the “Best Paper Award” in the Annual Congress of Kolkata Academy of Ophthalmology, 2009. Presently Dr Sengupta is the OPD-in-charge of B B Eye Foundation, Kolkata.